They all look so happy … that make me happier! 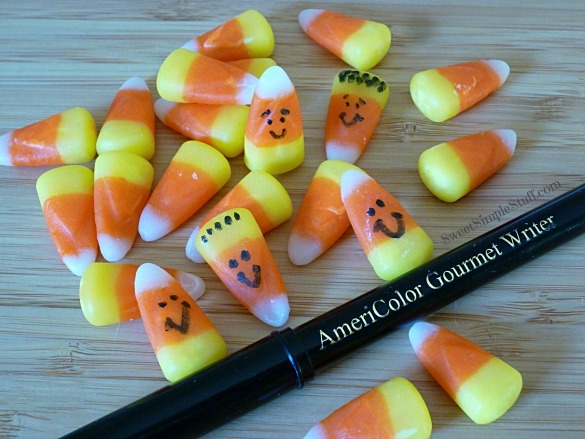 Words are probably not necessary … draw faces on candy corn with an edible marker, give them some personality … easy peasy! Happy Anniversary. Wishing you many more years to come. Congratulations on 40 years of marriage. That is really wonderful! Your candy corn are sweet. Congratulations on 40 wonderful years. I have always looked forward to having Candy Corn for Halloween. 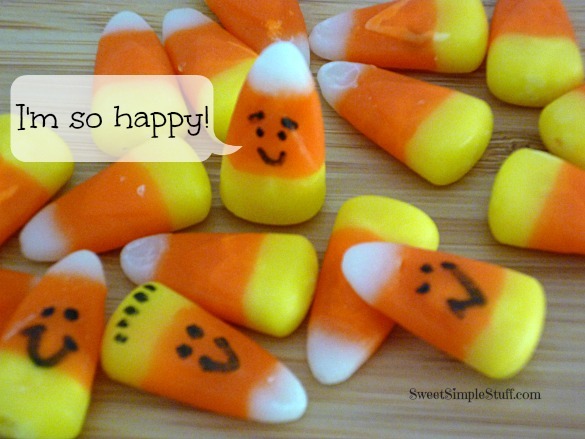 Candy corn makes me happy too. As soon as I see them in the store, I have to buy a package. The faces are soooo cute. Happy Anniversary and best wishes for many more wonderful ones. Love you guys. Congrats on 40 years!!! 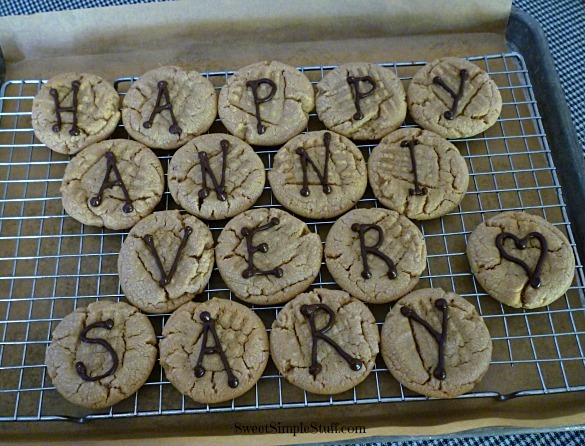 That is a wonderful thing to hear about in an age where marriages don’t seem to last long anymore..;( And I love your anniversary cookie card! Great idea for little bags of gift candies at each place setting. Nothing like happy faces on candy to put happy faces on those eating them. Happy anniversary to you and your hubby… 40 years? Did I read that right? Who couldn’t smile with candy corn smiling at you? Yes Kathleen, you read that right … we must have been mere babies when we got married … I couldn’t possibly be that old, LOL!